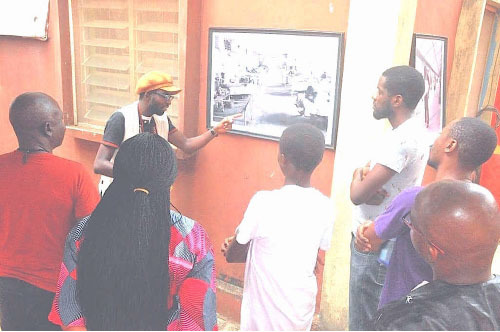 To commemorate the event, Washington Uba, a documentary artist and photographer, held an exhibition of his works, spanning over eight years on the plight of people with leprosy at the Parliament Bar, Red Street, Jakande Estate, Isolo, Lagos. The aim of the event was to raise awareness about the disease which many people believed had been eradicated and a call to end stigmatisation of the people with leprosy. Part of the activities marking the event was a round table discussion and an interactive session. The event, which drew people from all walks of life, was chaired by Mr Otun, of the Guardian Newspapers. The Programme Coordinator, Washington Uba, believed that people affected by leprosy should not be defined by the disease and shouldn’t be socially alienated. He noted that more too often than not, people affected by leprosy were forced out of school, marriage or work because of stigma. He further stressed that negative social attitudes could also prevent people with leprosy from seeking medical help and therefore, delay early diagnosis and treatments. “That is why we are calling for an end to the stigma, prejudice and discrimination of people affected by leprosy and their families,” he said. The event was put together with support from Global Systems Resources, 360 Studios and Charity Care Network. The World Leprosy Day is an annual event which is observed on the last Sunday in January. Washington Uba is a Documentary Photographer whose artistic endeavour was engineered by his passion for charity work in 2005 having worked for charity for over a decade. It started with a street documentation of the destitute (Beggars) within Lagos state, Nigeria, and later on discovered the Family Support Destitute Home, Oko Baba at Ebutte-Metta, Lagos State, where similar documentation was carried out simultaneously with other charity activities. Within this period of documentation and exhibition of his works, he decided to engage in a larger scale of documentation nationwide where captured most of his subject with a view to giving his social struggle a holistic approach. It is in this premise that the Leprosy Colony documentation project began with the title “The Images of God”. He also carried out a motion documentation of a special category of the hearing and speech impaired entrepreneurs entitled “Handicapibility”.